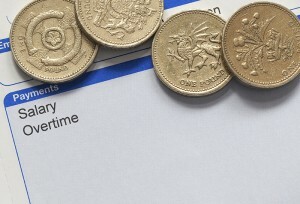 Running your own payroll isn’t always that easy and it can be costly. What with the expense of purchasing payroll software, maintaining the annual upgrade fees, training a payroll clerk and managing their holidays and sickness, let alone the added pressure of remaining compliant with legislation. It can be daunting, expensive, time consuming and quiet simply a headache you just don’t need. If you are a small to medium sized business then outsourcing your payroll could be just what you need. It frees up your time to focus on your core business. It also gives you peace of mind that you will remain compliant with current and forever changing employment legislation and that your employees are paid accurately and on time. Our service is reliable, attentive and in line with RTI and current legislation. We are trained by and members of the Chartered Institute of Payroll Professionals so you can rest assured that your payroll is in good hands. What is included in our services? We will also provide you with the necessary documents/reports and forms, which you will need to complete and return to us before we can successfully complete your payroll.